I am far from a minimalist, but recently I started looking into it and apply it in my own life. I have been de-cluttering like crazy – every weekend for the last month and a half, I have been giving away between 2-5 bags to charity. Don’t get me wrong, I am a VERY organised person generally, but due to old habits and patterns, I have been holding on to stuff just for the sake of – even though I knew these things do not serve me anymore. You see, if our lives are cluttered with material objects – we feel psychologically crowded, with no space to think and relax. We can bring order out of chaos by simplifying the way that we live and this leads to an increase in mental clarity and lowers our stress levels. An ancient universal law states that to bring more abundance into our lives we first have to create room to allow ourselves to receive this new prosperity. Whilst we hang on to the redundant and useless articles that surround us we are metaphysically hanging on to old energy patterns and past limitations. Do you have any clothes in the wardrobe that you haven’t worn for a couple of years? If so, why are you hanging on to them? Why are you keeping items that you never wear and know for sure that you will never wear again? Are you keeping things because of past memories? If so, you may be unable to move forward in your life because you are stuck in the past. If this is the case – get rid of them. Every time you look at clothes that don’t fit you and never will, you will always undermine your body confidence (it’s enough to make you reach for the biscuit tin). I am guilty of this, I had a few gorgeous clothing pieces which I had kept in my wardrobe / under the bed for years in hope to one day fit in – even though I secretly knew that would never happen! So when I started ‘The Art of Simple Living‘, I learnt to let go of things that don’t serve me and doesn’t make me happy anymore. So…Clear out your wardrobe and your mind of old memories that are holding you back – let them go. Don’t let the past hold you back – if you haven’t worn something for the last 2 years, give it to charity or bin it. I have downsized to a simple double wardrobe from IKEA, and with the help of amazing and space-saving wardrobe essentials from The Holding Company, I have managed to create a capsule wardrobe for every season (that reflects my Signature Style), organise, colour coordinate and fall back in love with wardrobe and everything that’s inside it! Completely empty the contents of the wardrobe and pile it out onto the bed. Not only will this help you to realise just how many items you own, but it will also help you to rediscover how much storage space you actually have to play with. Have a try-on of all of the clothes and make firm choices on which items to keep, donate to charity or sell. Be ruthless when making the decisions, ask yourself if you will miss the item when it has gone. It’s important to take a minimalist approach and work with a ‘less is more’ concept. Ask yourself whether you have the right storage solutions that suit your lifestyle. If you have more dresses, then do you have enough hanger rails? If t-shirts and jumpers are more to your taste, then have you got ample drawer space? 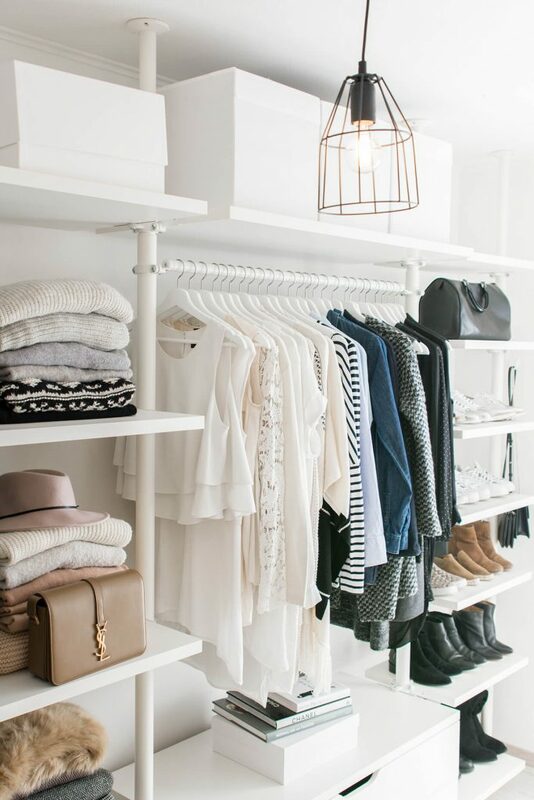 If the answer is no, then perhaps it is time to update your wardrobe interiors. The modular design of the Spaceslide wardrobe interiors can adapt to suit your lifestyle, so rather than purchasing an entirely new wardrobe, you can simply introduce a new component or move to shelve around with ease. Re-organise the wardrobe, either by category or by colour. This will not only make space look neater but it will help you to find items quicker, ideal for early work mornings. Utilising floor to ceiling space means that higher shelving can be used for the lesser used items, but will keep the clutter from off of the floor. Remember; How can we welcome the new if we have nowhere to put it? 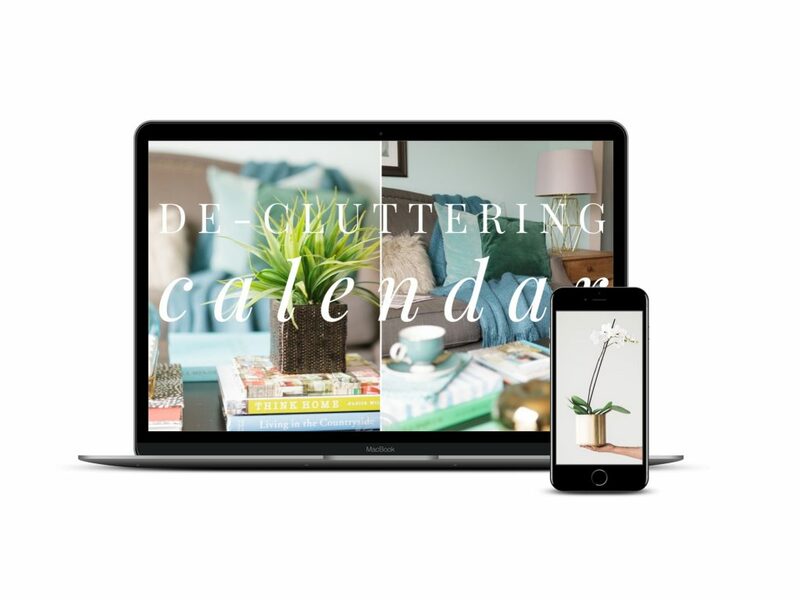 Download your copy of my De-cluttering Calendar! How pets can benefit your lifestyle?